It’s a pretty comprehensive tome. 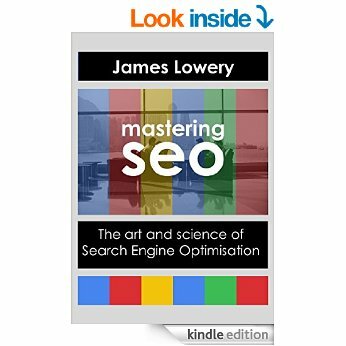 In it I’ve tried to cover the bulk of what an SEO project should comprise from audience research through to technical optimisation. There’s undoubtedly some stuff that I’ve missed, but the beauty of modern publishing is that like anything else, there’s no finished product – just a version number that will probably incremement over time. One of the first things I write about in the book is the need for marketers to really dig into who their audience is. I think that’s increasingly important for SEOs because of how personalised results are becoming. For the most part, I’ve tried to write for an audience of people who run their own website or business, and want it to be more sucessful. It probably has enough stuff for most SEO people to argue with too. What’s all that stuff about agencies being a bit bullsh!t then..
One of the areas I covered in the book was choosing an agency. Over the past 2 years, since I stopped working in an agency I’ve done a surprising amount of work with agencies. It’s been interesting to see what kind of approaches they use. For the most part, the agencies I’ve been inside are all great. Chock full of clever, hard working people who do good things for their clients. I can recommend any of them, and I probably would if you asked me. In the book, I am pretty critical of certain agency practices though. And one of the objectives about writing about something like SEO for an audience who might be buying it is to tell that audience what they’re buying. There are situations where information asymmetry creates an unfair advantage. Some agency types do exploit that knowledge gap and run campaigns in ways that aren’t necessarily in the client’s interest. Rebalancing that knowledge gap is something I hope the book will do. Anyway, as I said above the book is available for Kindle at the link above. It’ll probably come out in paperback if I can find a way of adopting a permanent beta model for that too – perhaps I’ll post out replacement sections and a pen to strike out any bits that have changed. If you’re reading this before 20th October 2015, then you’re in luck. There’s a promotion on where you can get the book for FREE!!!1!one! If you’re reading this after that date, then you’ll have to pay.